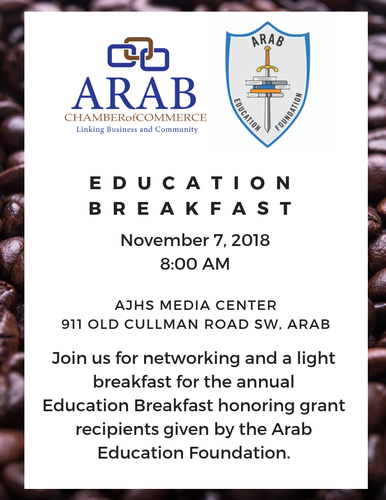 Arab City Schools Foundation will discuss the business community's continued partnership with our education system and will present annual teacher grants. This event will be held in the library at Arab Junior High School. This event is free for chamber members.